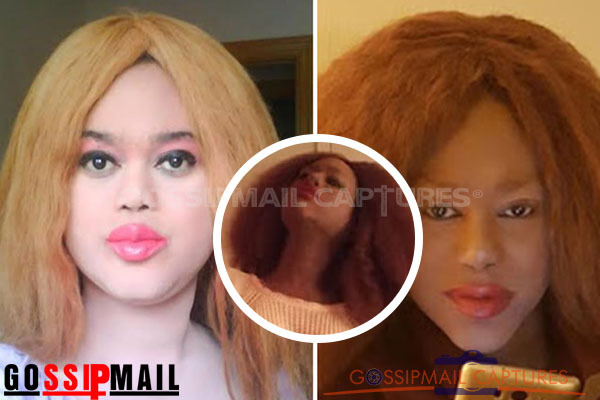 Nigerian transgender Stephanie Rose, is full of hatred for the Lord our God and is coming out again to insult him and call him a monster. Stephanie, who was born a man named Dapo Adaralegbe, was expelled from the Obafemi Awolowo University, Ife, where she was studying Law due to her homosexuality. She later underwent surgery to become a woman. In her latest rant, she has taken to her Facebook page to share a post by an avowed atheist, Amenhotep Kingsagreed, where she thinks that God is the devil himself. “I’m amazed that people who claim to read and worship the words of the bible tend to be so ignorant about just what the bible says. I wonder how many of them know that god is quoted many times in the bible admitting that he is in fact evil. Judges 9:23 Then God sent an evil spirit . 1 Kings 9:9 …therefore hath the LORD brought upon them all this evil. So as you can see, Jehovah god admits that it is he that does all evil, not some “fallen angel” who gets the blame. [next] The reason Satan gets the blame is solely so that the Christians can convince themselves that it’s not god doing it. But if you claim that god is not capable of committing evil acts then you are “giving false witness” and committing “blasphemy” against god and his character. Now I ask you, why do you feel that this “god” is deserving of worship? Even if you believe that he does exist, after all he has done and all he admits, why would you want to devote your life to him? Of all the men who have lived not one of them can come close to the evil that this god is. No one has caused as much death and destruction that this god claims to have done. It’s funny, the relationship that people have with this god reminds me of battered wife syndrome. He’ll beat you into submission, threaten you with terrible punishments if you don’t comply, convince you that you deserve that horrible treatment because your bad deep inside, then tell you he only does it because he loves you. Actually it’s not funny after all. It’s pretty damn sad. Which ‘other uncontrollable devil’ is humanity searching for when the creator and inventor of evil has declared itself? The position of evil can not be checked because the same God is the creator and inventor of all evil.